Panel discusses the upcoming fall election. 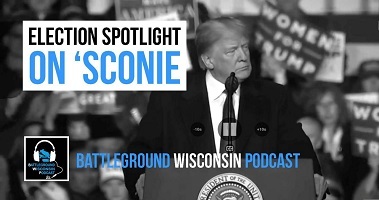 This week Wisconsin is ground zero for the 2018 election with the visits of President Trump and Obama. The panel discusses the effort by Trump and Wisconsin Republicans to inject immigration and other conservative issues into an election dominated by GOP failure on healthcare. We encourage listeners to vote early and volunteer on election day or work in at a polling location. We close with a discussion of the State of New York’s lawsuit against Exxon Mobil, saying It deceived shareholders on climate change and the Supreme Court intervening in another climate change lawsuit.